Audi A3 Saloon Interior, Sat Nav, Dashboard | What Car? 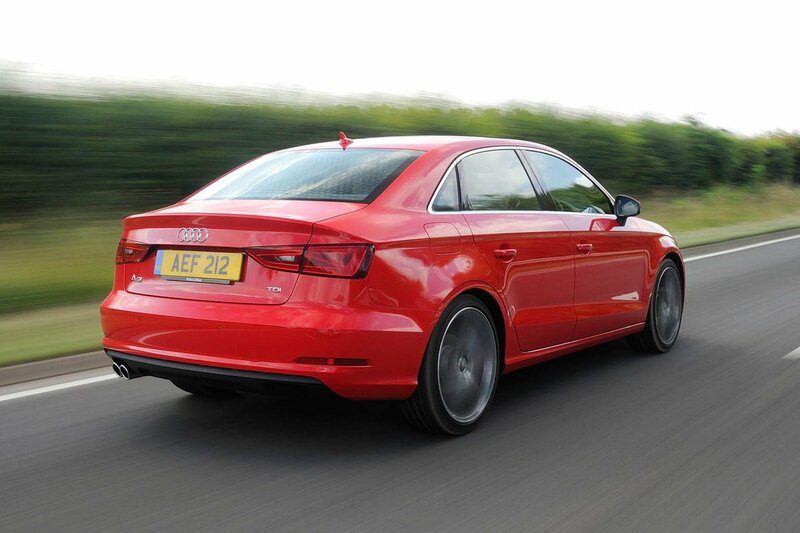 Few will have any trouble getting comfortable behind the wheel of the A3 Saloon. The steering wheel can be moved in and out as well as up and down, and there’s a wide range of adjustment to the seat. The seatback angle is set using rotary wheel, too, so it’s possible to make small adjustments easily. It’s disappointing that adjustable lumbar support – which is electrically operated – is an option on all models, but at least the standard sports seat’s chunky side bolsters give good support in corners. Should you want even more luxury, fully electric seats are optional. The dashboard looks sparse, but in fact it’s brilliantly simple to use: all the major switches are clearly marked and easy to reach from the driver’s seat. There’s little to worry about if you’re trying to look ahead or to the side from the driver’s seat: slim front pillars and large side windows mean visibility is perfectly acceptable. The rear window is pretty shallow, but it’s still easier to see out of the back than it is in, say, a Mercedes-Benz CLA. Rear parking sensors are standard and Audi offers a number of parking aids as options, including front parking sensors, a reversing camera and an assist system that will identify a suitable space and reverse the car into it. Sport models come with decent Xenon headlights but if you want even more powerful LED headlights then they come as standard on S line and above. These can be upgraded to adaptive units for, of course, an additonal fee. Audi’s Multi Media Interface (MMI) lets you use most of the A3 Saloon’s major functions via a rotary dial and a small collection of buttons by the gearlever. It’s a very simple system to use with thoughtfully designed menus, and on the move proves less distracting to operate compared to a touchscreen. It's beaten only by the current BMW 3 Series' latest iDrive system. That's because the 3 Series has a larger, higher-resolution display with sharper graphics, whereas the 7.0in screen in the A3 is small by today's standards. It's mounted high up in the centre of the dashboard, though, so you can see it easily and it slides down into the fascia out of sight when not required. Audi offers a variety of upgrades, including a Technology Package. This brings a more advanced satellite navigation and MMI Touch, which turns the top of the MMI dial into a touchpad that you can use to scrawl single-character text entries, such as the initial of a phone contact. It also adds wireless phone charging and Audi's Virtual Cockpit: this swaps the analogue instruments for a 12.3in screen that can be configured to show infotainment menus and full-screen navigation maps. S line models receive an upgraded sound system but, if you opt for the Comfort and Sound package, this brings a still more4 impressive Bang & Olufsen surround-sound set-up with 14-speakers and 705 watts of power. 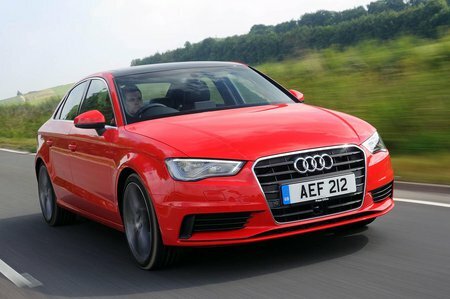 The A3 Saloon’s interior is the benchmark for how a small saloon should look and feel; the whole interior is built from the sort of high-grade materials you’d expect to find in a far more expensive car. You’ll really struggle to find any low-grade plastics anywhere, including low down by knee level, and the materials in your direct line of sight are a tactile treat: plush textures and real (rather than shiny plastic) aluminium flourishes abound. Everything feels wonderfully screwed together, while the switches are beautifully weighted and the super-slim infotainment screen that rises slickly from the dashboard adds to the impression that no expense has been spared.